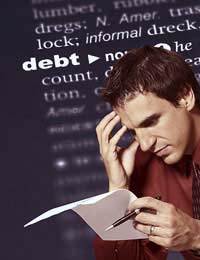 Debt and money worries can easily spiral out of control. One of the major ways in which this can quickly ruin the bond in a marriage is if one person conceals their money worries from the other one. This can lead to increased stress on the part of the person hiding the financial difficulties, and resentment as the other person continues to spend money without knowing about the financial pressure that it is putting the family unit under. It is quite usual in many marriages for one person to take responsibility for the finances. This can be the husband or the wife. In some cases, there is only one breadwinner but the other party ‘holds the pursestrings.’ In other marriages, both parties make joint decisions over finances, but while this may sound idyllic to someone experiencing worries on their own, this can lead to each party keeping some money to the side to spend on themselves. If you are experiencing money worries in your relationship, you are not alone. Financial difficulties are singlehandedly the most quoted reason for divorce, second only to adultery. Being short of money puts people into ‘fight or flight’ mode, which means that they are often on edge or paralysed with an underlying sense of fear. It also means that their brain is not functioning in a normal or relaxed way, which can lead to irrational behaviour or strange thought processes. A common way to deal with money worries is to ‘bury your head in the sand.’ While this may seem like an ideal coping strategy, it only serves to compound the problem later on. If you have money worries now, do not try to fool yourself that you will be able to dig yourself out of them without your partner noticing. Getting into deeper debt will only make the problem worse. By far the best way to confront your money worries is to be honest with your partner. It is vital that, when you are broaching the subject, you do not seek to blame him or her for it. Often, when it comes to joint finances, one spouse will seek to put the onus on the other person. From ‘you shouldn’t have bought those new shoes’ to, ‘how much did that night out with the lads cost you?’ – the blame game is not helpful. This can escalate to ‘I slave my guts out for you, what the hell do you do in the house all day?’ to ‘You squander money, you don’t care about the family’ or ‘you’re a misery, you never want to have any fun.’ If this escalates, it can turn into an extremely nasty row. The important thing is to be able to sit down and work out where you are financially and try to develop a plan of action to be able to resolve it. This may not happen immediately, and should not be considered while you are having a huge row. Make a list of your fixed expenses and those that are flexible. Where can you cut back? What can you get more cheaply elsewhere? Do you spend money on unnecessary subscriptions, restaurant meals or satellite television subscriptions? Look at your spending patterns. You should not ‘treat yourself’ on credit cards but instead save any extra credit for an emergency. If you do have savings, pledge not to dip into them unless both of you agree that it is absolutely necessary. Talk about your finances realistically with your spouse. Be honest about what you expect from one another and discuss the financial decisions you have made together. The last thing you should do is withdraw, either from yourselves or each other. This includes turning to overeating, not sleeping, over spending, drinking, smoking or drug taking. None of these will help you to face your problems. If you are behind on your essential bills, you should learn your legal rights and then seek financial help immediately. Talk to a debt advisor, or contact your creditors directly to tell them about the issues you are facing. Creditors are far more understanding if you don’t leave it until they’re ready to take you to court. Quote: "If you are able to make a commitment to work together to resolve your financial issues, you will be able to make more headway in tackling your debt. "O.K., fine. But how about a section in there that addresses the question: "If you have tried to work together. but your partner refuses to co-operate"? Now that's a question that seems far more likely to be useful (if a sensible answer is provided) to anyone reading your advice!Yours,Mike.